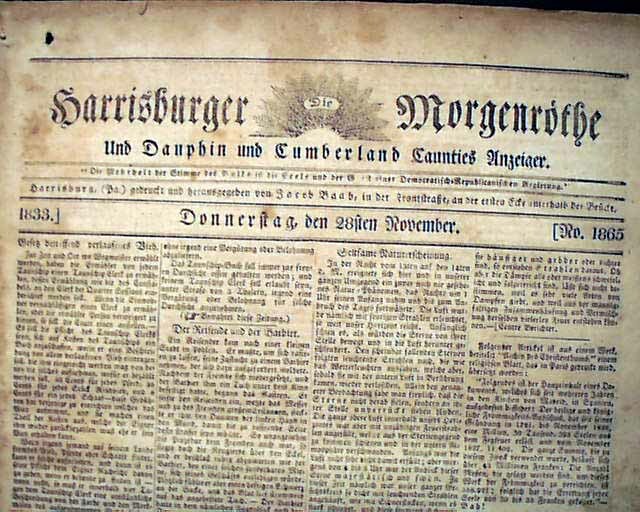 A very uncommon newspaper for the German speaking community in the Harrisburg area, printed entirely in the German language (Pennsylvania German?) save for two back page advertisements. 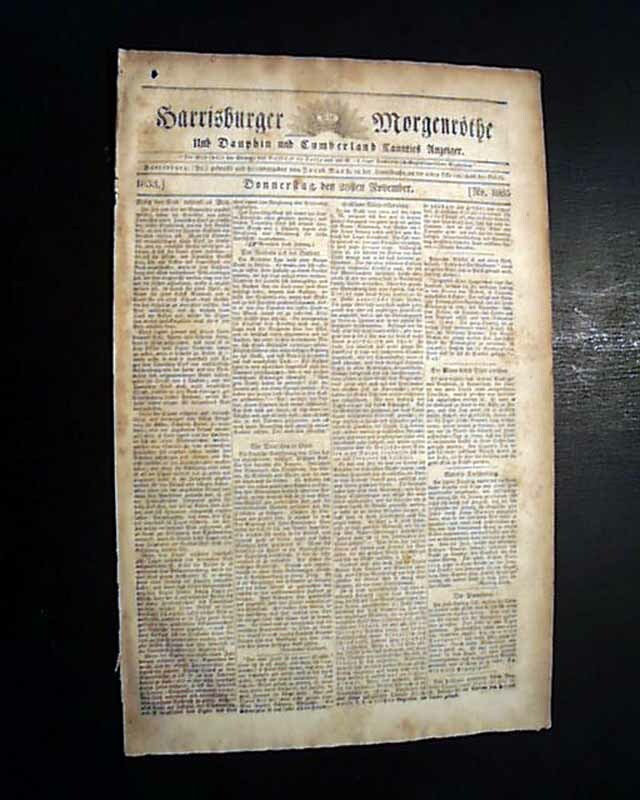 Four pages, folio size, nice condition.